Season 8 will mark the long-awaited finale of the fantasy epic that has captured viewers worldwide. When Thrones premiered back in 2011, it was an under-budgeted fantasy show based on things people had never heard of. When the last episode airs on May 19, 2019, it may well be the biggest event in television history. Season 7 was not short of surprises. Viseron, now part of the Night King’s army, managed to break The Wall and the White Walker army was able to pass south of the Wall at Eastwatch. We also learnt that Jon Snow has been a Targaryen all along, and his royal blood means that he is the true heir to the Throne. Will he receive what is rightfully his, or will Daenerys stand in his way, along with Cersei? The prophecy states: “In this dread hour a warrior shall draw from the fire a burning sword. And that sword shall be Lightbringer, the Red Sword of Heroes, and he who clasps it shall be Azor Ahai come again, and the darkness shall flee before him.” Will it be Jon, or is someone else going to sit on the Iron Throne at the end of the season? We are expecting a lot of battles – and if the Night King comes out victorious, it is likely that all of our favourite characters will die. We will almost certainly be getting some dragon on dragon violence in Season 8, which last happened during the Dance with Dragons, the historic Targaryen civil war that began the extinction of these magical creatures. Last but not least, what if, after all this time, we are faced with the ultimate plot twist that Bran is the Night King. Bran became the Three-Eyed-Raven and gained the ability to warg into other beings and animals. So has Bran been the Night King all along and tampered with the course of history like the Hodor accident? 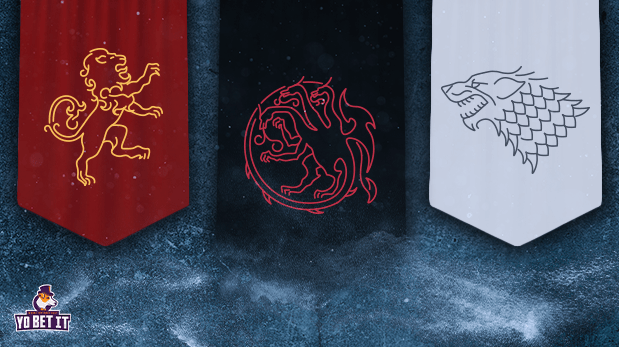 Head to Yobetit to find all the latest odds on what will go down in Game of Thrones Season 8.